Yes, it is true. What happened was this. I was working in the garden at the Jesus Vegans Ecovillage site. I collect rainwater in buckets to water the Hugel kultur beds. In two of the buckets, there were frogs that would have died if I hadn’t saved them. I need to figure out a new system for rainwater collection! 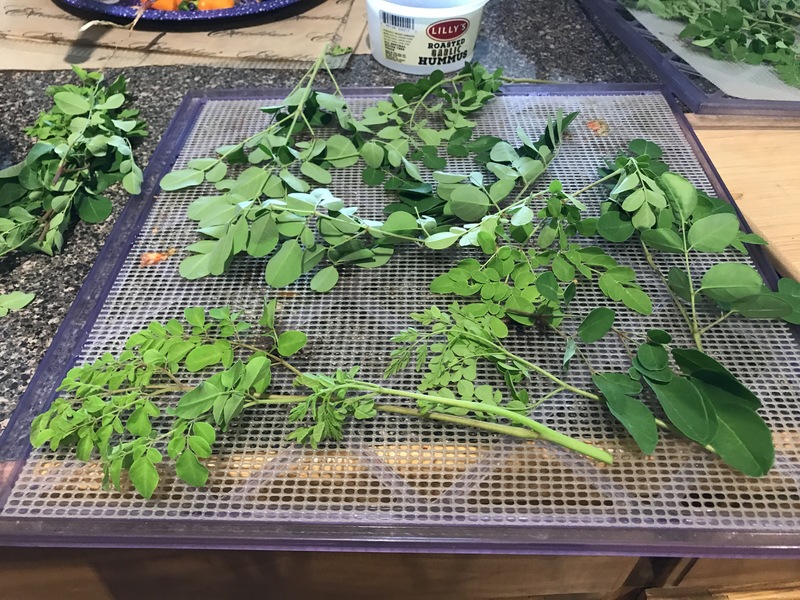 I dried some moringa plants in our Excaliber dehydrator. I went swimming at the end of the day in Prayer Lake which is a 5 minute walk from our house. So lovely and refreshing.